The 2008 Whalebone Vineyard is the product of a warm, ripe vintage. The ripe blackberry and anise of the Shiraz dominates the aroma although the underlying cassis and herbal spice of the Cabernet Sauvignon add complexity and finesse. As usual, the terroir imprint of Whalebone Vineyard expresses as a smoky Eucalypt and fresh earth aromas. 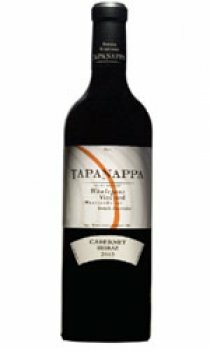 This is a ripe and highly structured wine, the sweet fruit middle being offset by long and persistent tannins, which contribute a savory balance to this traditional Australian blend. This is a wine for roasted venison or simply grilled dry aged beef. 2008 Whalebone Vineyard Cabernet Shiraz has the stuffing and tannin to survive with improvement for at least a couple of decades.